Azure vs. AWS – Which Cloud Service is Right for You? Everything is going to the cloud. Now, it’s only a matter of choosing how you go and who you go with. Microsoft Azure and Amazon Web Services (AWS) are the two largest players in the market. Both offer similar services, but Amazon got out in front of Microsoft and released their service first. They had a little more time to mature before the release of Azure. However, Microsoft quickly came on strong to become one of the leaders in cloud computing. To compare Azure vs. AWS, let’s take a look at some of the pros and cons of each service to try and decide which service might be right for your organization. Policy features, ease of configuration, reliability, monitoring, and security all get top marks. The number of third-party software devices in its marketplace function is also a big plus. AWS has a large number of technology partners, which gives subscribers a variety of choices when looking for new technology. One of the cons of AWS is its lack of compatibility with hybrid clouds. It wishes to remain solely cloud-based and doesn’t work well with on-prem cloud systems. This is a no-go scenario for many businesses because they still wish to protect their sensitive data by housing it in their own data centers. The complexity of navigating the large feature set that AWS offers can also be a daunting exercise. Some smaller vendors don’t know where to start and have trouble finding what they need. The sheer size of the AWS marketplace and the number of vendors can also make it hard to find the best software needed for the job at hand. The most obvious advantage to Microsoft Azure is that businesses already firmly rooted in Microsoft technology will be able to hit the ground running. It behaves very similarly to other Microsoft products and is naturally intuitive to users already familiar with the Microsoft processes. Azure also links with many on-prem software offerings such as Active Directory and Windows Server making it a good choice for companies who still wish to maintain their own in-house data centers. Companies that already have a strong relationship with Microsoft have access to consultants to help them transition to the cloud, which is a huge plus for an organization new to cloud computing technology. Azure has had several outages over the years as well as a few other growing pains. This is most likely due to the advanced implementation timelines employed to catch up to AWS. However, Azure has gotten steadily more solid over time. Another aspect of these growing pains has been getting training, documentation and technical support, but Microsoft is working to fix this over time. Microsoft has been slow to embrace non-Microsoft technology in Azure. But in 2016, Microsoft declared that “Microsoft Loves Linux” and has rapidly expanded support for the OS. In late 2017, Microsoft estimated that nearly one third of Azure Virtual Machines are running Linux. 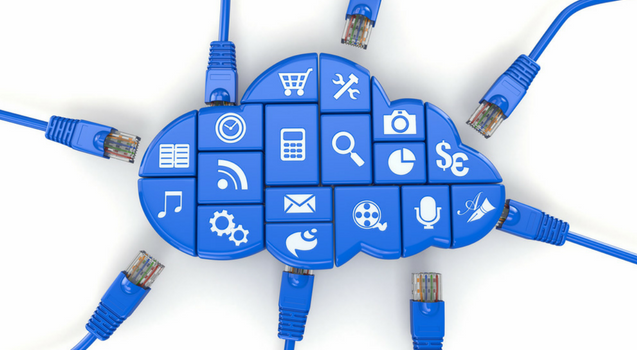 Choosing a cloud technology is a big decision and should not be taken lightly. Hopefully, this list of pros and cons will help you to get started on your path to making the right decision that best fits your situation. There is an abundance of documentation and reviews available, so do your research to make sure you have all of the information you can get. Moving to the cloud is a big step, but if you’re armed with the right knowledge, you can make the best decision for your organization going forward. To learn more about Azure or Amazon Web Services, we are here to help. Contact ONLC today and get started on your path to cloud computing classes and certifications. Microsoft Acquires GitHub – What Does it all Mean?